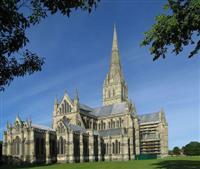 Our independent walking holiday that stretches from Salisbury in Wiltshire to Shaftesbury in Dorset is called Wonders of Wessex. The kingdom of Wessex was an Anglo-Saxon kingdom of the West Saxons in South West England, from the 6th century until the emergence of a united English state under the Wessex dynasty in the 10th century. It was to be an earldom after Canute the Great’s conquest of 1016, from 1020 to 1066. After the Norman Conquest, Wessex was split among the followers of William the Conqueror. During the 8th century Wessex was overshadowed by Mercia and the West Saxon kings may at times have acknowledged Mercian overlordship. During this period Wessex continued its gradual advance to the west, overwhelming the British kingdom of Dumnonia and absorbing Devon. As a result of the Mercian conquest of the northern portion of its early territories in Gloucestershire and Oxfordshire, the Thames and the Avon now probably formed the northern boundary of Wessex, while its heartland lay in Hampshire, Wiltshire, Berkshire, Dorset and Somerset. The system of shires which was later to form the basis of local administration throughout England originated in Wessex, and had been established by the mid-eighth century. Danish Viking raids on Wessex occurred frequently from 835 onwards and overwhelmed the kingdoms of Northumbria and East Anglia. Alfred the Great was compelled to pay the Danes to leave Wessex, who spent the next few years subduing Mercia and some of them settled in Northumbria, but the rest returned to Wessex in 876. Alfred was able to bring about their withdrawal in 877 (see blog post on Wilton in Wiltshire) and a portion of the Danish army settled in Mercia, but at the beginning of 878 the remaining Danes mounted a winter invasion of Wessex, overrunning much of the kingdom. Alfred took refuge with a small band of followers in the marshes of the Somerset Levels, but after a few months he was able to gather an army and defeated the Danes at the Battle of Edington, bringing about their final withdrawal from Wessex to settle in East Anglia. Alfred carried out a reorganisation of the government and defenses of Wessex, building warships, and establishing a system of fortified burhs across the kingdom, thirty-three forts, whose positioning ensured that no one in Wessex was more than a long day's ride from a place of safety (see blog post on Shaftesbury, Dorset as one of these burhs.) Alfred also reformed the administration of justice, issued a new law code and championed a revival of scholarship and education. As a result the West Saxon dialect of this period became the standard written form of Old English for the rest of the Anglo-Saxon period and beyond. In 927 King Athelstan, Alfred’s grandson, conquered Northumbria, bringing the whole of England under one ruler for the first time. The Kingdom of Wessex had become the Kingdom of England. 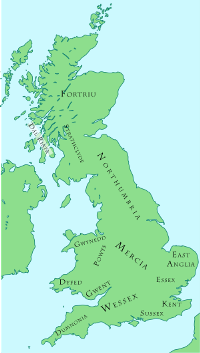 After the conquest of England by the Danish king Canute in 1016, he established earldoms based on the former kingdoms of Northumbria, Mercia and East Anglia. He created an earldom of Wessex, encompassing all of England south of the Thames, for his English henchman Godwin. For almost fifty years the vastly wealthy holders of this earldom, first Godwin and then his son Harold, were the most powerful men in English politics after the king. Finally, on the death of Edward the Confessor in 1066, Harold became king, reuniting the earldom of Wessex with the crown. No new earl was appointed before the ensuing Norman Conquest and the Norman kings did away with the great earldoms of the late Anglo-Saxon period. If 1066 marked the extinction of Wessex as a political unit, why do we see the term Wessex commonly used today? On his wedding day, the Queen conferred on Prince Edward the title of the Earl of Wessex and there are numerous businesses and organisations using the name Wessex, such as Wessex Water. 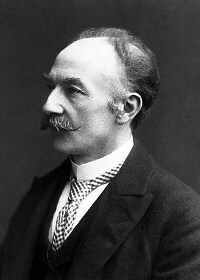 It is the English novelist and poet, Thomas Hardy, who is regarded as being largely responsible for the popular modern use of the term “Wessex” to describe the south-west region of England (with the exception of Cornwall). Hardy's conception of Wessex as a separate, cohesive geographical and political identity has proved powerful, despite the fact it was originally created purely as an artistic conceit. Hardy re-created the ancient Kingdom of Wessex, producing a detailed map of his territory with his fictional place names supplanting the real ones. So successful did that process become, that Hardy noted in 1895, a mere twenty-one years after he had first used the word Wessex in his writings, that his ‘dream-country’ had ‘by degrees solidified into a utilitarian region which people can go to, take a house in, and write to the papers from …’. Thomas Hardy gave the counties the following fictionalised names: Berkshire became North Wessex; Devon was Lower Wessex; Dorset, South Wessex; Hampshire, Upper Wessex; Somerset, Outer Wessex; Wiltshire, Mid-Wessex, while neighbouring Cornwall was described as Off-Wessex.